This pocket-size Lansky Dual-Grit, Multi-Purpose Sharpener is ideal for sharpening lawn mower blades, machetes, hatchets, axe blades, shovels and spades plus a variety of other cutting and chopping tools. 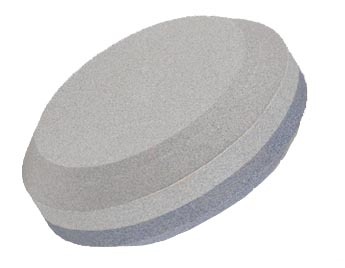 The Puck’s easy to grip contoured shape, provides for safe, simple tool sharpening. Dual-Grit design provides a coarse side for quick cutting and shaping, and a medium side for final sharpening and finishing of your edge.